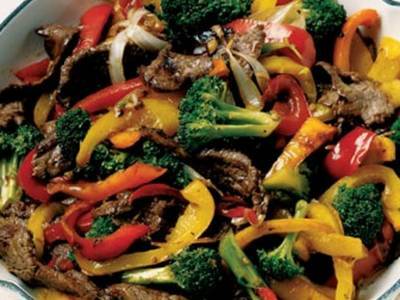 This Beef Strips Recipe needs you to save a little burgundy wine! The first suggestion if you want this favorite restaurant recipe for Beef Strips to produce excellent flavor: use a burgundy wine you would (or at least could) drink. That is the absolute bottom line when cooking with ANY wine. Please do not use a cooking wine you might see in grocery stores. Cooking wine usually contains too much salt and not enough of the flavors you really want. Use a “mainstream” wine for cooking. It doesn’t have to be expensive. My family and I (and the restaurant) have chosen to buy the best beef on the market (more costly). Yes, "natural" fed beef is more expensive, but it is the best for you and your family. If you try a couple of steaks, you'll be a believer. The restaurant most often uses trimmed prime rib for this restaurant beef recipe but you can easily substitute any reasonable cut of meat graded "choice" or better. Note: Assuming four portions from this recipe means each portion will have about 11 grams of carbohydrates. If you are interested in reducing your carbs, click the link to read more about it. 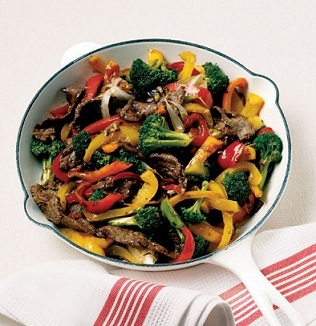 Serve over rice or pasta of your choice and garnish with green onions sliced diagonally if you are not counting carbs. If you are “counting carbs,” , serve with fresh or frozen green beans (10 ounces for four servings), about 5.4 grams of carbs per serving. 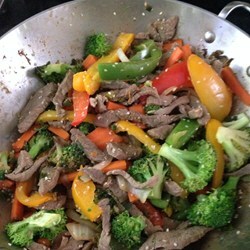 This Beef Strips recipe is easy ...but this meal is very much appreciated by my guests. Try it. You'll be pleased and who said cooking quality meals always has to be difficult? The ultimate "test" of any meal is taste, nutrition and often "eye appeal." Who are the ultimate judges? For me ...my family and my restaurant guests. These restaurant recipes helped build and still sustain and bless an independent American-style restaurant in a small town. It takes more than great recipes to be successful in “the biz,” but without them ... you’re out of business. Want recipes you can be confident will turn out? These recipes have met the ultimate test! These recipes are "recipes that work." 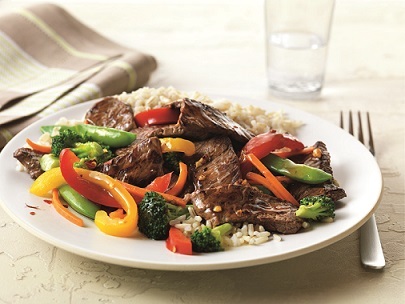 Enjoy your restaurant recipe for beef strips and the company of those you share them with. "I cook with wine... sometimes I even put it in food."